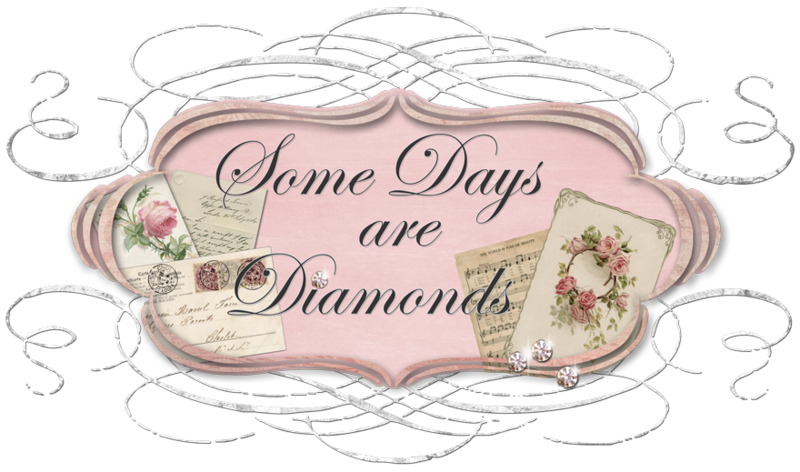 Some Days Are Diamonds: A New Year . . .
A New Year . . . Doesn't it seem like it was just the other day we were celebrating the new Millennium and now TEN years have passed? My golly - where does the time go? So I need to back up and share a few Christmas pictures! We celebrated with my sister and her family here at our house on the Saturday before Christmas. Last year my niece Heather hooked all of us up with an on-line Christmas "Santa" called Elfster. We are secretly given a name, and you shop for a $50 item for just that person. No one knows who has their name until they are presented with their gift, and it GETS WILD!!! Here are a few shots! The newlyweds - my nephew Steve and the adorable Jessica. Justin and my sister JoAnne - "Auntie, why did you want sandals? Yeah- well - OK, yeah they are lookin' good . . ."
GUYS! They just don't get the shoe thing. got him an unexpected and PERFECT gift. My oldest son Brandon was messing around and asked for a "leg lamp"
he saw in some movie. Well! He got it!!!! It was hilarious! my long shopping hours getting her the perfect gifts! Is she not adorable in this hat from Anthropoligie? and my Brighton push pins! How extravagant! OMG! We all had so much fun! And next year? A NEW BABY! WHOO HOOOOOOO! On to Christmas morning . . . the puppies come first! Anything Harley Davidson is perfect for Mark. With Miss Jorja by his side. On to Christmas afternoon with Mark's family - here. and hiring him has been one of Mark's most successful business moves. bought their boys a new dirt bike. Now they have three! Perfect! instead of at their house. Watching while Evan tries it first . . .
Then Zack gives it a try! Back inside the girls are preparing the customary Prime Rib and Lobster! On to the presents . . . ohhh Auntie Karen Brandon and Justin did good!!!! So did Uncle Mark!!! New car speakers! her this past year. She does GORGEOUS work! It was a wonderful day had by all! Really quickly, I know this is long . . . we spent New Years out in Glamis with all of the group (except Dale and Joy) that went on our summer vacation to Sturgis this year. It was so fun getting to reconnect with everyone. What great people. Well, the trip was eventful to say the least. Without going into too much detail, the main thing that happened was . . . remember Brandon - not my Brandon - my son Justin's friend that usually goes to Glamis with us? Here he is at our home helping Justin celebrate his 21st birthday about 12 days ago. . .
Well, I got out there on Tues night, and earlier that evening Brandon took a fall; it was dusk. . . hard time of the day to see "inside" the dunes - let alone with all of the dust - he tried to land the bike . . . one thing led to another and he ended up breaking his collar bone. YUP! And it was a DOOZEY! He is having surgery on Tues to fix it all up and in 8 weeks he'll be good as new. I know this sounds weird but I am so GRATEFUL that is all that happened. It could've been sooooo much worse. But needless to say - the boys packed it up and went home just slightly early. As for New Years . . . our group were inside their motorhomes before midnight even rang in! LOL. I think we all become reflective this time of year. In reading back over my blog, so much has happened. What a great year 2009 was! Trips, friends, new discoveries, new curiosities, new interests. I am so looking forward to 2010. And bringing you guys along on the ride! And I am so Blessed with the added bonus of you - my fab friends - taking me along with you too! How awesome is that? I am getting ready to celebrate a one year blogaversary! That is AMAZING! Who would've thought. So stay tuned while I figure out how I am going to celebrate! The wheels are already turning . . .
Have a wonderful day and once again Happy New Year everyone! Sorry about Brandon. A real bummer, but as you said, it could have been worse. Happy New Year sweetie, and what a beautiful post this is. You did a phenomenal job with the writing and the pics. I just love it. Well it looks like someone is bringing a girl into the family. Oh my gosh that little darlin is going to be spoiled rotten. How exciting, as their appears to be only grandsons, and lots of boys I see. I loved the look on the two little ones faces when they saw the bike. How exciting that must have been. I could feel the excitement as their Dad read the letter. It was just a moment to treasure. I am so happy to hear that your son's friend is going to be okay. I remember a few posts back we were praying for him. It was so serious at first. Like you said, oh my gosh it could have been so much worse. Loved this post..we have a leg lamp Christmas ornament (its from A Christmas Story)...we laugh every year when we get it out. Brighton push pins I'm sure are adorable. Glad your son's friend is okay...my youngest broke her collarbone a few years ago-its an extremely painful thing! My blogaversary is also coming up this month...hmmm..I'm thinking too. Happy New Year! WOW My sweet friend! What a bunch of stuff you had going on! I love the Secret Santa thing and would like to know how that works. Sounds like loads of fun! All the gifts and celebration with sweet family. Mighty nice of your Mark to get those boys the dirt bikes. They sure looked happy. I am sorry about the accident but like you, I am happy it was just the collarbone. Could have been so much worse and ruined a sweet life. Honey, I could go on and on about how happy I am to have you in my life! I ABSOLUTELY can't imagine you not being on the other end of this computer. We didn't know each other at all this time last year but it sure doesn't feel like it! I pray that you and your family have a safe and wonderful 2010. Love you! sorry to hear about Brandon...but glad it's not too bad. Though surgery is tough enough. Looks like ya'll had a wonderful Christmas. Happy New year to you! What great pics of your family, it made me feel like I was right there with you all! Those sons of yours are so HANDSOME! Oh I wish they were closer! I am so glad that Brandon will be ok, that is so scary! I imagine you were quite scared yourself! My uncle lost control and rolled his atv and was almost killed ( this was less than two years ago and they were in the AZ. Desert) He's ok now, but it was touch and go! Soooo, I am so glad that your son is going to be OK. Love the pics of you, just so cute and what neat gifts you got! Can't believe it's been a year of blogging, wow, I guess time does go quicker as we get older! What's up with that? Should be the opposite! Well have a great week my dear friend, Love Ya too! I have got to get over to that store and do some "looking!" I'm glad for (the other) Brandon that everything is not as bad as it could have been. Those bikes are dangerous...I don't know how you can watch! Get unpacked and get back to normal. I can't wait to see 'how' you are going to celebrate your ONE year anniversary!!! Can't wait to celebrate your blogaversary with you. Looks like a wonderful start to 2010! The Leg lamp is from one of my favorite movies of all time!!! Christmas Story!!!! So funny!!!! Love the hat!!!! Love the brighton pins you asked for!!!! What a fun way to do Christmas!!! Of course our families are so large, we stopped exchanging gifts along time ago!!!! I have 3 siblings, my husband has 5!!!! !Some of his are half and step, but they all count!!!!! So sorry to hear about the friends Motorcycle accident!!!! We went riding int he desert today to one of our favorite destinations--BOX CANYON, you can google it, anyway, we noticed a very large wooden cross on the trail and had to stop and read it, happened in 08 on a dirt bike. So yes, we all have to be very careful all the time!!!! Happy New Year looking forward to seeing more of you!!! So nice of you to share your beautiful family with us, I really enjoyed this. ~Ah! What gorgeous family Christmas photos Karen! Everyone looks so happy. What handsome young men. ~WOW! What a beautiful family you have Karen! Looks like you guys had a great Christmas! Happy New Year! Karen, you have such a beautiful family!! Everyone looks like they are having so much fun. Love the pic of the newlyweds, they look so in love :) Love the hat from Anthro too! Just a Big Sigh . . . Ezines!!!!! A set of on-line classes! With no further ado . . .
Awaiting the storms . . .
Longing for Winter . . .